The word is featured, explicitly and/or conceptually, in recent opinions published in two of the world’s most established media platforms – the New York Times and the New England Journal of Medicine. The combined message relates to a previous point I’ve made here and elsewhere, that if doctors would or could take the time to provide full and unbiased information to their patients, people might choose less care of their own good sense and free will. 3. Changing the economics of medicine, to reward better care rather than simply more care. So, as I understand Leonhardt’s proposal, he’s saying that if we knew more, we’d be less demanding and ultimately more satisfied with the medical care we receive. And because more care is sometimes harmful, besides expensive, the consequence of saying “no” would be a big plus – in terms of quality and costs. 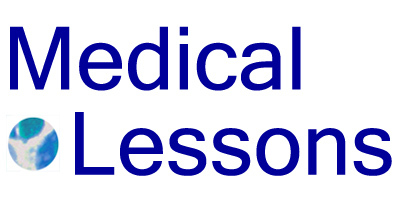 On April 8 the New England Journal of Medicine published a perspective piece, Cost Consciousness in Patient Care – What is Medical Education’s Responsibility? by Dr. Molly Cooke. This essay parallels Leonhardt’s in that it first reviews our medical overconsumption problem and then suggests specific steps to ameliorate it. 2. We must prepare every physician to asses not only the benefit or effectiveness of diagnostic tests, treatments, and strategies, but also their value. What Cooke says, in sum, is that for physicians to effectively counter the unsustainable medical expenses in the U.S., we should adjust medical education to train doctors to think – actively and consciously – about the economics of health care. Now it’s easy to tie these two pieces together. The points are that regular citizens and doctors, both, need to learn more about the value of tests, procedures, treatments and other health care commodities. Just piling it all on blindly doesn’t yield the most value. I think this is what comparative effectiveness is meant to do. Most likely it will reduce the need for more health care as oppose to better health care, right? Your blog made me think that if people did not feel that they would be subjected to expensive and unnecessary invasive tests, they might visit the doctor more often. We might not wait until we are in horrible pain or very sick.